The Brand New Saddles with A Look & Sound of Vintage!! "You can go as raw as you want. Because now there's Raw Vintage." I really dig The Raw Vintage Saddles. You have nailed it! I put them on my vintage 1962 Stratocaster several months ago (in order to save the originals while out on the road). 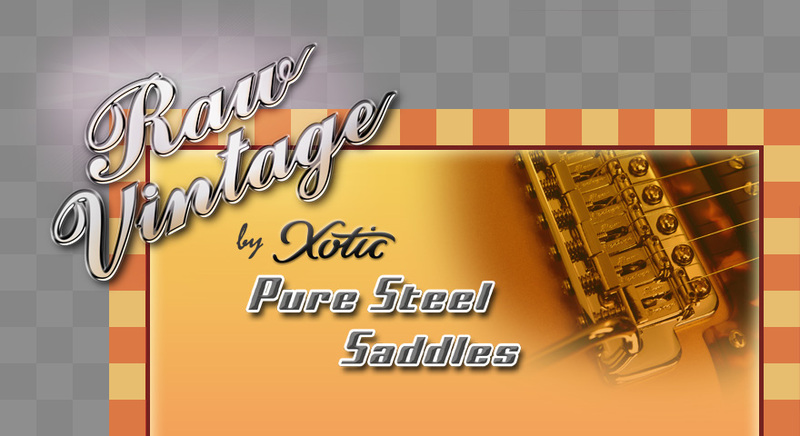 The Raw Vintage Saddles have every bit of the vintage warmth, depth, sustain, clarity and vibe as the originals. Congratulations & thank-you...I'm going to be putting these on all my Stratocasters. I really wanted high quality vintage saddles, which do not change my guitar tone. This is it. I put these saddles (RVS-108) on my Signature Guitars.